Selgin (Selegiline) is in a group of medicines called phenethylamines and is mainly used as a Parkinson's disease treatment, however, some people have used it for senile dementia. It works by causing an increase in the dopamine levels in the brain. Selgin (Selegiline) is in a group of medicines called phenethylamines and is mainly used as a Parkinson's disease treatment, however, some people have used it for senile dementia. It works by causing an increase in the dopamine levels in the brain. This is achieved by preventing MAO-B (monoamine-oxidase-B) from breaking down dopamine. As dopamine is a neurotransmitter considered vital in the control of movement, and patients with Parkinson's disease usually have low dopamine levels, increasing the amount of dopamine in the brain helps to provide relief from Parkinson's disease symptoms. 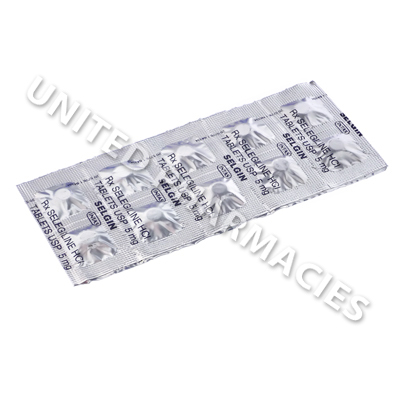 The tablet form of this drug is usually only prescribed for Parkinson's disease, and patients treating depression are generally instructed to use the transdermal patch instead of the tablets. Other potential uses for this drug are also being investigated by medical researchers, including ADHD, helping people stop smoking, use as a nootropic and other conditions which have not been listed here. Patients treating Parkinson's disease with Selgin (Selegiline) are usually told by their doctor to take it alongside another medicine, such as levodopa or carbidopa. You will be provided with dosage instructions for all of the medicines you are required to take by your doctor. Adult patients are sometimes instructed to take 5mg twice per day, with one dosage taken with breakfast, and again at lunch. If adjustments to the dosage of any of the medicines you are taken are necessary, your doctor will advise you. If you notice any side effects during treatment, tell your doctor. 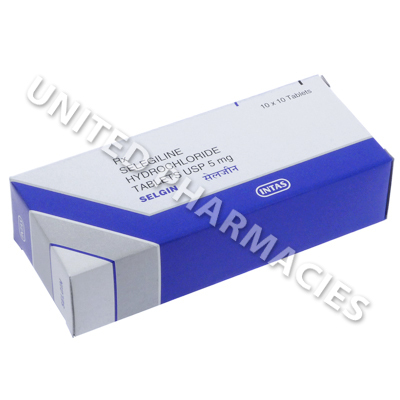 Serious reactions may occur in some patients treated with this drug. You will need medical care immediately if you experience pain when urinating, hallucinations, fainting, uncontrolled shaking, severe nausea or any other severe side effects that have not been mentioned here. MAO inhibitors (and certain other medicines) must not be taken while taking this drug and for 14 days after stopping treatment. Also, certain foods, such as certain types of cheese, especially cheese that has been aged, yeast extracts, fermented or air dried meats and other types of food must be avoided during treatment and for 14 days after you stop treatment. Your doctor will give you a complete list of all foods which must be avoided. Do not stop treatment with this drug unless instructed by your doctor to do so. Your dosage may need to be gradually reduced when you stop taking this medicine. Always use Selgin (Selegiline) as you have been prescribed by your doctor. Never self-medicate or change your dosage without first consulting your doctor. The correct dosage can vary depending on your health, medical history, and the severity of the condition being treated.